Maingear has just unveiled its all new gaming laptop, the Nomad 17, dubbing it the “perfect performance mobile solution for gamers and PC enthusiasts alike.” The device itself comes with a third generation Intel Core i7 processor along with Nvidia’s GTX 600 series graphics, giving it enough power and performance to tackle most PC gaming experiences. Like I said, the Nomad 17 supports third generation Intel quad-core processors up to 3.8GHz and offers up to 32GB of DDR3-1600MHz RAM and support for a plethora of hard drives, including full size SSD and RAID 0 and 1. If you are looking to decrease boot time, an SSD caching option works automatically, allowing for faster load times and disk-insensitive tasks. The full DX11 and PhysX support, along with Nvidia’s Kepler architecture in the new 600 series graphics solutions, allows for top tier gaming performance. 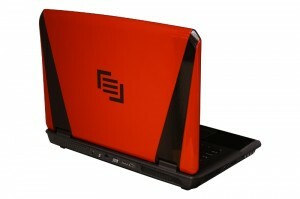 The Nomad 17 comes with Nvidia’s GeForce GTX 675M, which is upgradeable to the GeForce GTX680M. Both feature Nvidia’s unique Optimus Technology, which maximizes power savings by dynamically assigning workload to the built-in Intel HD graphics or the GeForce GPU. As far as connectivity goes, the Nomad 17 comes with USB 3.0, 2.0, eSATA, Bluetooth, Ethernet, 802.11n, HDMI and VGA out. In addition to that, the Nomad 17 comes in six different colors and features a backlit keyboard, full 1080p HD 17″ display, multi-touch trackpad with gesture and scrolling support and dual speakers with a built-in subwoofer. A noteworthy article, special thanks from a huge games addict! !.